If you’re thinking about investing in non-traditional asset classes, fine art should be high on your list of options to explore. Over a span of several decades, fine art’s favorable investment characteristics, such as its ability to act as a store of wealth to hedge against inflation and currency devaluation, have made it an increasingly attractive asset class for wealthy families, knowledgeable collectors and a growing number of professional wealth managers. Particularly, there has been a focus on “blue chip” artists whose works carry the highest price tags and have the largest collector base. 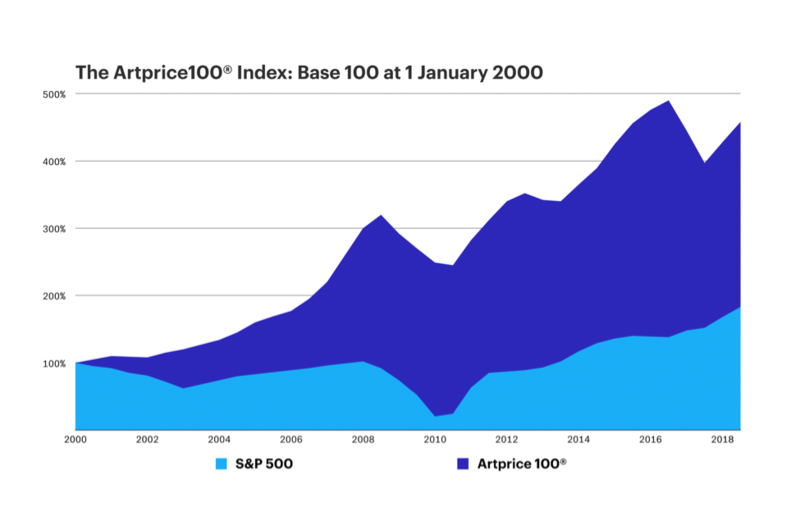 This segment of the art market has seen incredible value accretion since 2000, outperforming the S&P 500 by over 250%. Investing broadly in the art market is not always possible, nor is it a sound financial strategy. Instead, as the discerning collector knows, certain areas have historically outpaced others in terms of performance. While the general art market has seen uneven and temperate growth, one segment stands out as a consistent winner—the market for works by blue-chip artists. Over the past 18 years, the leading index for the 100 most important artists in the market reflects an annual price appreciation rate of 8.9%, while the S&P 500 returned 3.4% in the same time frame. According to ArtPrice, the index is assembled objectively using its extensive database of over 6,300 auction houses and weighted by an artist’s average performance over the last five years. The index is adjusted annually, just as with a stock index, and newly successful artists join while those who are no longer relevant are excluded. We can also point to a specific example, by an artist who is ranked second in the ArtPrice100 for 2017, to understand how prices have changed in real terms. Masterworks.io purchased a Reversal Series painting of Marilyn Monroe by Andy Warhol from Phillips last November for $1,815,000. One advantage of this series is that price appreciation can be calculated with relative ease since Warhol created numerous paintings between 1979 and 1986 using the same silkscreen technique and subject matter, so that while the images vary by color scheme, other attributes remain relatively constant, providing a wealth of relevant auction sales data. Based on an analysis of auction sale records for 43 Marilyn Reversal paintings over the past 28 years, the historical price increase has been around 11.25% annually, or a total increase in value of over 750%. Alternative investments are appealing for portfolio diversification because they are relatively uncorrelated with traditional assets, and art is no exception. 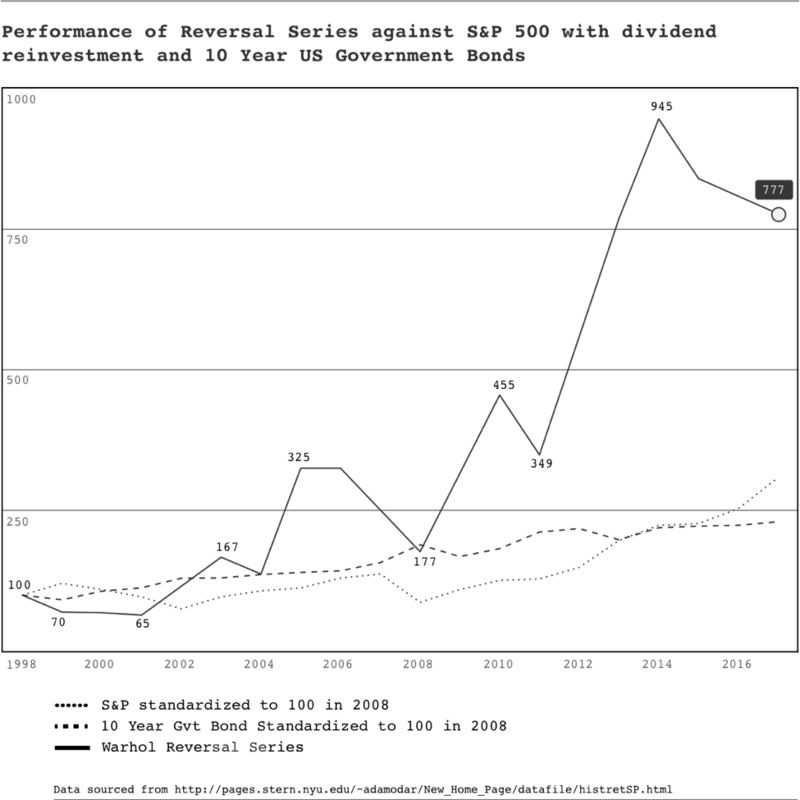 During the financial crisis of 2007 to 2009, the decline in art prices for the top 100 artists was estimated at between 26% and 28%, while the S&P 500 declined 56% from its peak. 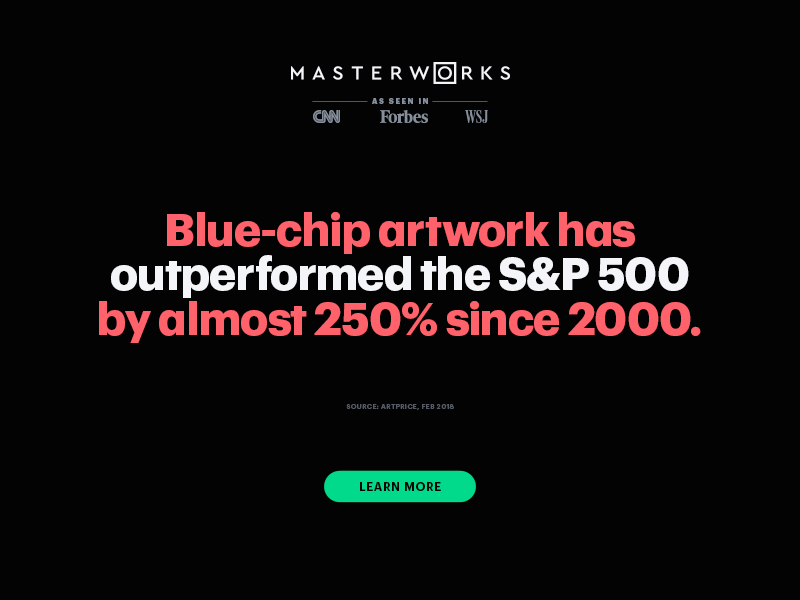 As a result, blue-chip art presents an opportunity for investors worldwide who want to include it as part of their alternative asset portfolio management strategy and lower their overall risk through diversification. Economists have used various approaches to calculate the correlation between art prices and other asset classes. Based on their research, it is believed that the coefficient between art prices and the S&P 500 lies between -0.03 and .19. The relatively low correlation signals that when equity markets decline, fine art is more likely to retain its value. 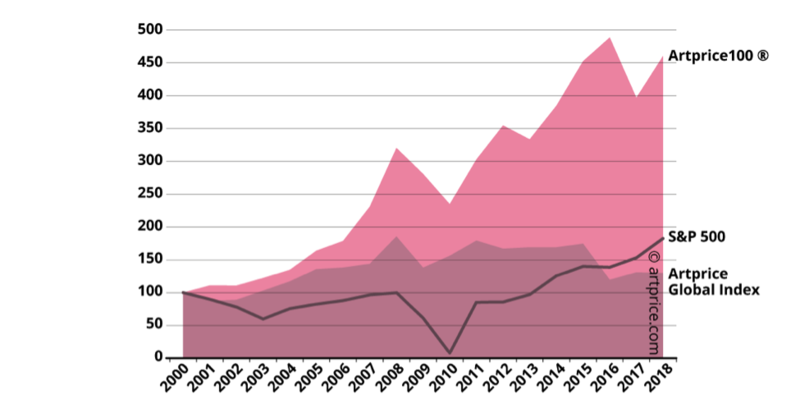 Art markets, however, are not immune to systemic risk, and in 2009, there was a sharp contraction in the number of expensive artworks being purchased. This decline in volume occurred just as stock prices were beginning to rebound, reaffirming the view that art lags equity markets by six to eighteen months. Historically, slumps in the art market have been characterized more by a lack of liquidity and lower sales volumes than sharp declines in value or prices paid for important works. Any measure of risk-adjusted returns attempts to calculate the gain on an investment relative to the level of volatility in the portfolio. The higher the risk, the less a given return is worth. Fine art, like the stock market, has riskier and safer options from a financial perspective. The division between speculative and established blue chip artists is complex, although price often serves as a signal in the marketplace. While you can acquire a painting for as little as $5,000 at any number of New York galleries, in hopes that it will one day be worth millions, the chances of doing so are on par with winning the lottery. On the other end of the spectrum, so-called “investment grade” art, which carries a six-to-eight-digit price tag, has a strong collector base and much more predictable appreciation rates. 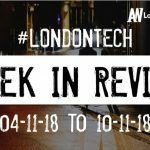 Until recently, investing in paintings by a high-caliber artist like Andy Warhol was available only to a handful of the world’s population, but Masterworks, a New York-based startup is looking to change that dynamic. In the same way that minority investments in real estate have become possible through REITs and online platforms, Masterworks.io is making it possible for non-accredited investors to buy into works valued at $2 million and up by filing them with the SEC as Reg A+ securities. To learn more, go to www.masterworks.io.